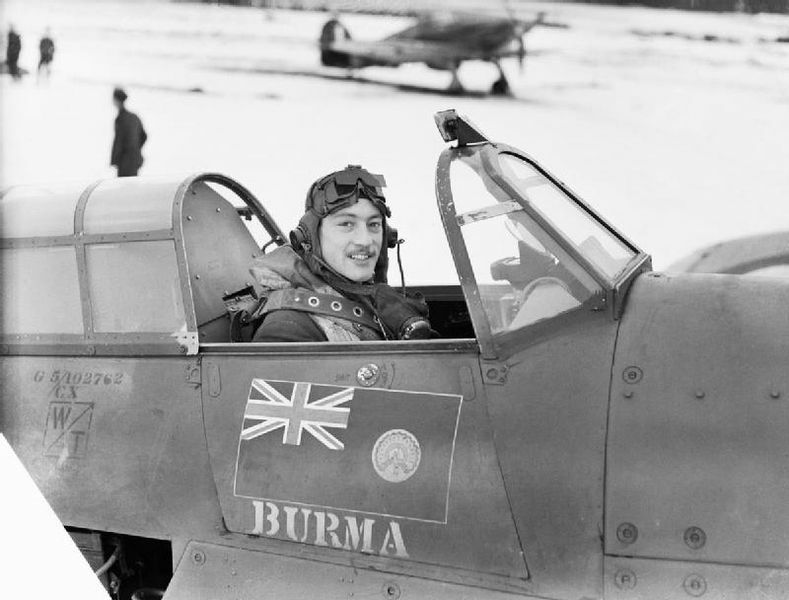 Wing Commander Robert Stanford Tuck DSO, DFC & Two Bars, AFC (1 July 1916 – 5 May 1987) was a British fighter pilot and test pilot.Tuck had claimed 29 enemy aircraft destroyed, two shared destroyed, six probably destroyed, six damaged and one shared damaged. The watchmakers at AVI-8 continue to turn out quality timepieces and the new Flyboy series does not disappoint. 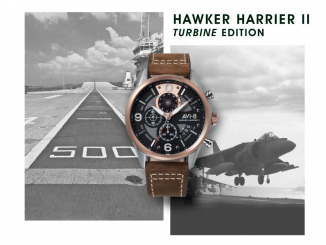 Within this series are three distinct ranges, including one that pays homage to an esteemed World War II Ace from the Royal Air Force. The AV 4048 Flyboy “Tuck” Automatic Edition pays a small tribute to one Robert Stanford Tuck, a colorful character and one of the RAFs most famous wartime pilots. 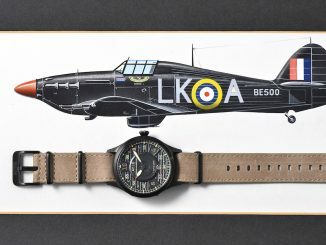 The AV-4048 takes its shape from the clear cut Flyboy family of pilot watches. 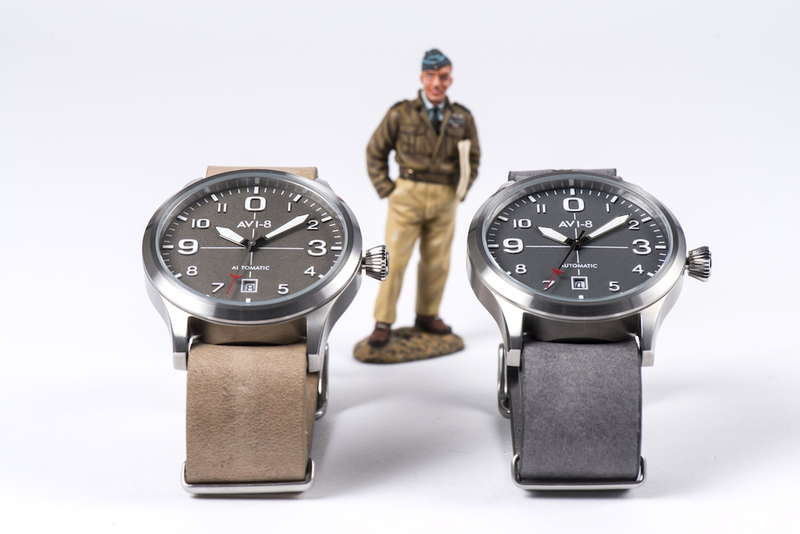 A scratch resistant slightly domed sapphire lens set on the 42mm diameter marine grade stainless steel case distinguishes the Tuck slightly from the rest of the Flyboy range. Another distinguishing feature is the initials of Robert Stanford Tuck that is visible through the exhibition Roundel marked see through case back. A scratch resistant slightly domed sapphire lens set on the 42mm diameter marine grade stainless steel case distinguishes the Tuck slightly from the rest of the Flyboy range. 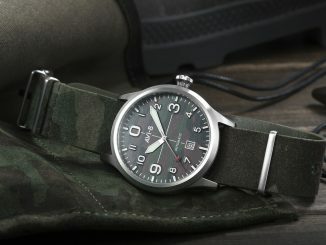 The Flyboy AV-4021 range of timepieces Like their previous timepieces feature a stainless steel case, Genuine Leather NATO strap that comes in four colors, automatic Japan 3 hand movement, textured dial faces, which is available in three colors, features large visible, luminous indexes. The Miyota Japanese self-winding mechanism that powers each Flyboy timepiece is visible through the rear case, which shows that the AV-4021 is just as stunning on the inside as it is on the outside. Featuring a rustic, antique like finish – the heralded iconic Flyboy edition – now includes 2 executions in a vintage silver and a vintage brass finish. 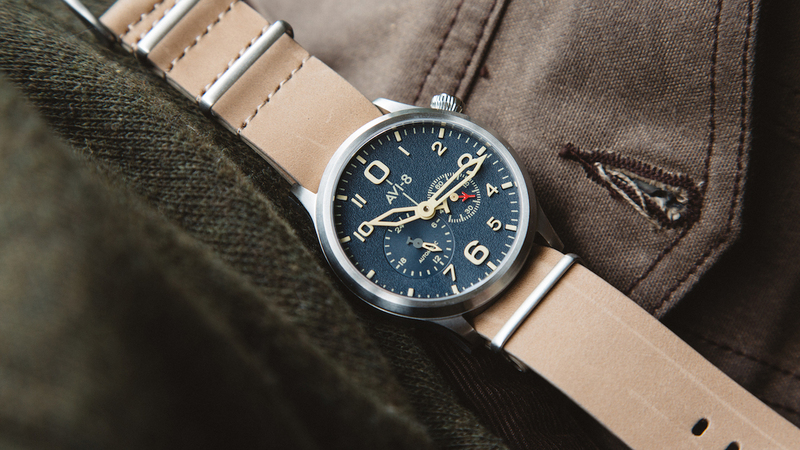 The Limited Edition Bronze Flyboy is a robust timepiece designed to age with character and individuality through the eventual, rustic majesty of the oxidization and Patina that will emerge on the case through exposure to the elements. 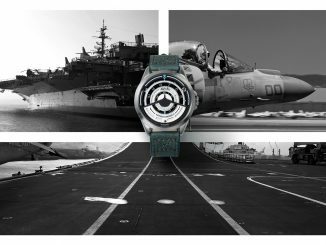 It looks an industrial look while keeping with the high-class feel that is the hallmark of every AVI-8 timepiece. A voluminous 44 mm diameter bronze case is topped with a domed scratch resistant sapphire crystal offering depth and subtle amplification of the dial. The sturdy leather NATO strap comes in three colors and has a feel that is both robust and supple. Packaged in a custom built field box with brass plated plaque, extra strap and watch spring bar replacement tool, this limited edition of 300 pieces is as much an eye-catching and elegant aviation timepiece of real substance as much as it is a unique showcase of our commitment to watchmaking and our harnessing of a material synonymous with aviation. The Limited Edition Bronze Flyboy is a robust interpretation of our most iconic timepiece through the usage of this unique and character driven material. After a short stint as a sea cadet in the Merchant Navy, Robert Stanford Tuck joined the RAF in 1935 and by May 1940 he had been assigned to No. 92 Squadron (Sqn) at Croydon as a flight commander flying Spitfires. On his very first combat patrol, over Dunkirk, on May 23, 1940 Tuck shot down three German fighters. The very next day Tuck became an Ace when he downed two more fighters. Over the next two week Tuck’s score rose and on June 28, King George VI pinned Tuck’s first Distinguished Flying Cross (DFC) upon his chest. Tuck earned this DFC in combat on June 11 when the squadron commander was shot down and reported missing. Tuck assumed command and led with gallantry and distinction. 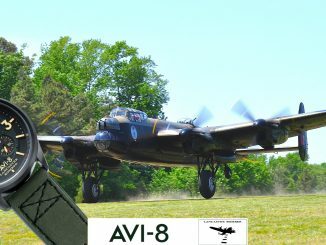 As the Battle of France became the Battle of Britain, Tuck continued to rack up victories but not without him being shot down twice over England. At the height of the battle Tuck was promoted to acting squadron leader and assumed command of No. 257 Sqn at RAF Coltishall. 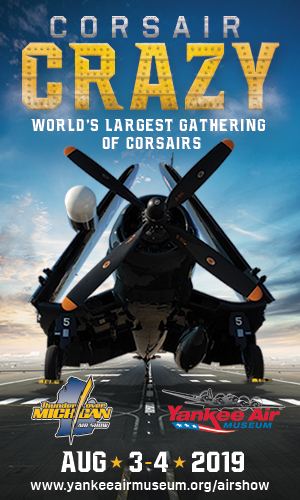 Now flying Hurricanes, he scored his last two victories of the battle on October 28, 1940. Three days prior he received his second DFC.On January 28, 1942, took off on a low-level Rhubarb mission over northern France where his Spitfire was hit by flak forcing Tuck to crash land near Boulogne and became a POW at Stalag Luft III in Zagań where he made several attempts to escape before finally succeeding on February 1, 1945 and resumed his fight against the Germans, except this time he did so with the Russian infantry. He ultimately found his way to the British Embassy in Moscow and returned home aboard a ship. Tuck retired from the RAF in May 1949, but continued to fly as a test pilot for a period of time before he and his wife became mushroom farmers for the next 20 years, never to accept the accolades of his fellow members of “The Few”. After years of combat and an imprisonment Tuck was content to enjoy a life of peace. Although in his later years he became a technical advisor on the 1969 Battle of Britain film and befriended legendary German Ace Adolf Galland. 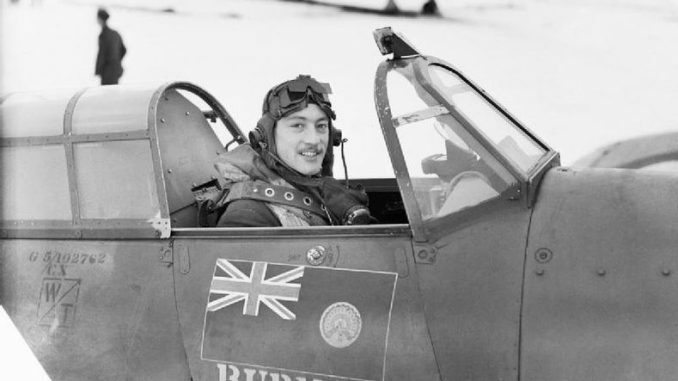 On May 5, 1987, almost 47 years to the day of his first combat mission, Wing Commander Roland Robert Stanford Tuck DSO, DFC** DFC (USA) AFC RAF, who finished the war was 28 confirmed victories, passed away at the age of 70. 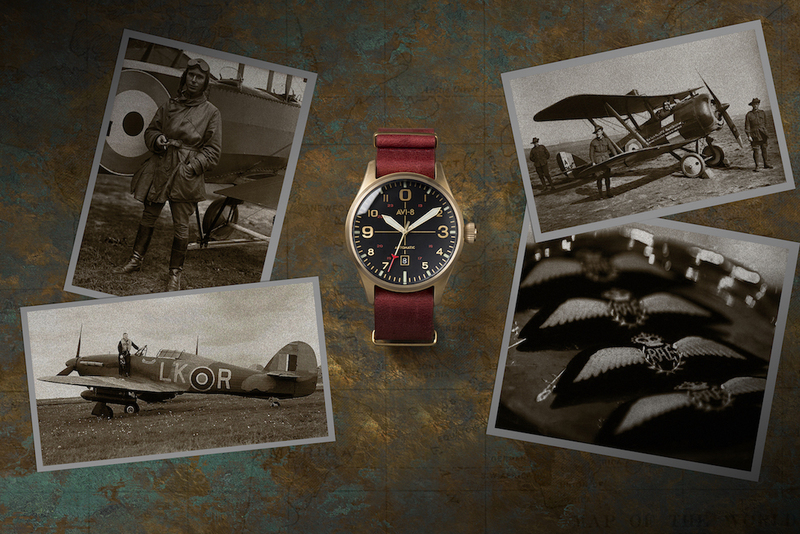 The understated elegance of the AV 4048 Flyboy “Tuck” timepiece is a fitting tribute to this quiet, albeit tenacious, warrior who did his part to defend not only his beloved England, but the entire free world.